In one of the most awaited matches of this year's competition, the defending champions, Delhi take on hot favorites Mumbai in the first match of Group B of on Saturday. Both teams head into this match with momentum on their side as they look to continue their quest to make it to the final of the Syed Mushtaq Ali Trophy 2019. A star-studded Mumbai side have already accounted for Saurashtra as Shreyas Iyer led the Mumbaikars to qualification, while Delhi recovered from an early hiccup against Jharkhand to finish on top of their group in the previous stage of the tournament. 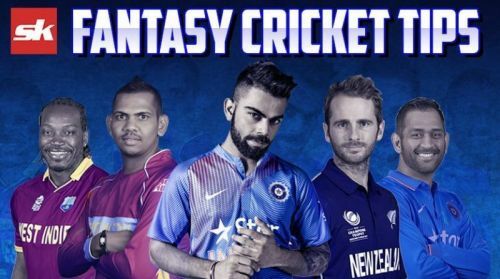 With the likes of Nitish Rana and Prithvi Shaw being pitted against each other, here are a few tips to help you pick your Dream11 team. Delhi are set to revert back to their strongest eleven with captain, Ishant Sharma and Navdeep Saini returning for them. The batting unit is among the strongest in the competition with the likes of Dhruv Shorey and Nitish Rana in the ranks. The presence of Pawan Negi at number eight highlights the depth they have in their team. In Saini and Ishant, they have one of the most fearsome new ball pairings and are certain to test the Vidarbha batsmen early on. Possible XI: Dalal, Chand, Shorey, Himmat, Rana, Anuj/ Pranshu (WK), Lalit, Negi, Bhati, Ishant/ Tokas and Navdeep. After a close encounter against Karnataka, Mumbai isn't expected to make many changes to the side with all of their players proving their worth during the course of the tournament so far. While Shreyas Iyer and Suryakumar Yadav have anchored Mumbai with the bat, the pace trio of Kulkarni, Thakur, and Deshpande have been terrific along with Shams Mulani. They need to come up with their A-Game on Saturday if they are to upstage the defending champions and dent a blow to their aspirations. Possible XI: Parkar, Shaw, Iyer(C), Surya, Tare(WK), Lad, Ranjane, Dhawal, Shardul, Mulani, and Deshpande. Low scoring matches are the current trend at the Emerald High School with spinners finding turn to exploit against the hapless batsmen. Top order batsmen are key to their respective team's cause as stroke play becomes increasingly difficult as the game progresses. Wicket-keeper: With both keepers batting deep down the order, Aditya Tare is the ideal option with his experience and ability to play the big shots towards the end of the innings. Batsmen: Prithvi Shaw hasn't been at his best so far in the tournament and would be looking to go big against a formidable Delhi bowling unit. Along with him, Shreyas Iyer and Dhruv Shorey are must-haves in the side with their records speaking for themselves. All-rounders: Nitish Rana and Lalit Yadav have been very good for Delhi, making them viable options for this contest while Shubham Ranjane should also be backed to perform in what is a do-or-die clash for both teams. Bowlers: Navdeep Saini, Subodh Bhati, Dhawal Kulkarni, and Shardul Thakur are the ideal set of bowlers to have in the side with all of them in good wicket-taking form this campaign. Bhati is the highest wicket-taker this season and should pick a wicket or two along with the others. Captain: Prithvi Shaw should be backed to make an impression on Saturday while the likes of Dhruv Shorey and Lalit Yadav are also more than capable options for captaincy.